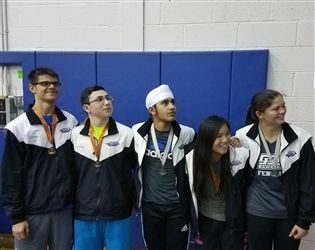 Results are in from the Montclair Frosh/Soph Fencing Invitational, with five Gill fencers medaling at the event. Brianna Moglianesi '19 took the silver medal in the sophomore women’s epee, and Harkanwar Chadha '20 claimed silver in the freshmen men’s foil. 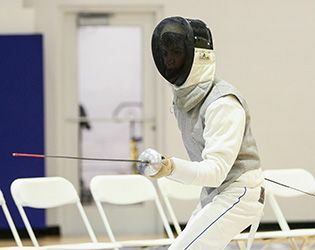 In sophomore women’s sabre, Edith Brazil '19 tied for the bronze medal, and in sophomore men’s sabre, Mark Rusas '19 and Alex DeRing '19 tied for bronze. Congratulations to our freshmen and sophomore fencers on a great showing this weekend. Tomorrow the full team will take on West Morris Mendham at home at 6:30 p.m. in the Field House. Go Knights!